Something wicked this way comes on Thursday, October 31 with the return of Auburn’s annual Downtown Trick-or-Treat! 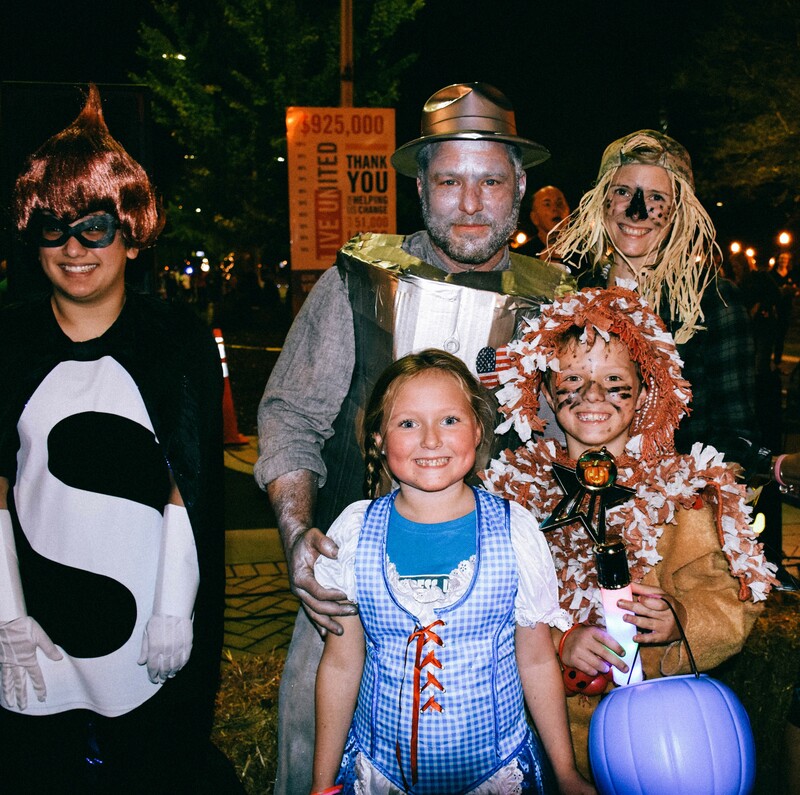 From 6 – 8 p.m., we will have a ghoulishly good time in downtown Auburn, so make plans to join the City of Auburn and the Downtown Merchants Association for this fun and spooky event! Children and families are encouraged to visit downtown merchants to trick-or-treat for candy and other Halloween treats. DJ Ozz will provide all the tunes for downtown visitors to dance to and Dr. Magical Balloons will be there to whip up some amazing balloon animals, hats and more! There will be face painting by the Auburn High School Key Club; birds of prey from the Southeastern Raptor Center; police vehicles and a firetruck on display from the Auburn Public Safety; and so much more! There will also be a special appearance by everyone’s favorite tiger – Aubie! – at 6:30 p.m.
Let’s not forget the best part of the night though – the 2019 Costume Contest! Make sure to wear your Halloween best and you could be our Pick of the Patch! At 6:45 p.m., all those interested in participating in the 2019 Costume Contest should meet under the street lights on College Street next to Toomer’s Corner for preliminary judging. There will be signs directing you to sections for each category of the contest. After preliminaries, 8 finalists will be selected in each category – who will then be judged by our mystery guest judges and awarded prizes. Can’t attend Downtown Trick-or-Treat? Neighborhood door-to-door trick-or-treating is also scheduled for Thursday, October 31 from 6-8 p.m. Downtown streets will close for this event at 5:15 p.m. Downtown Trick-or-Treat is FREE and open to the public and will be held rain or shine. Parents must accompany children to this event. Check out our Facebook page at www.facebook.com/CityofAuburnAL for more details. 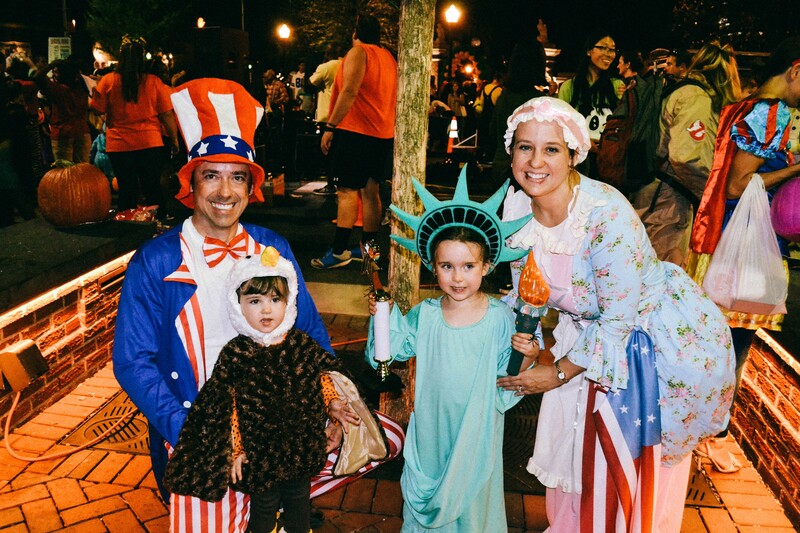 Downtown Trick-or-Treat is sponsored by the Downtown Merchants Association, Oriental Trading Company and the City of Auburn Parks and Recreation department.